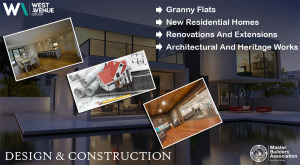 The West avenue group is a fully licensed building firm - we understand the building process intimately and is able to be Innovative and versatile in our approach to every project. Both personable and professional in our manner, we believe in a transparent and collaborative relationship between owner and builder. With a strong background managing and working on large projects, west avenue group has developed strong relationships within all areas of the team to deliver the clients' vision for their home or project. From inner city, eastern suburbs and west Sydney.